As we age, our eyes degenerate. Heck, even from the time we were born until now, so many of us have to wear glasses. And, you’ve all heard of cataracts, right? That misty thing that half blinds us. Let me tell you what boost the health of our eyes. 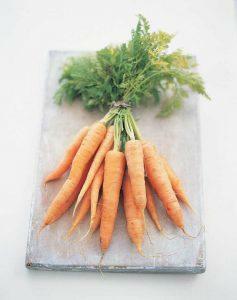 Vitamin A – One of the most important parts of Vitamin A is Beta-Carotine. Vitamin A helps protect the surface of your eyes, called the cornea. It can even decrease risks of eye illness. Foods rich in Vitamin A: Sweet potatoes, carrots, apricots. Vitamin E – Can slow down eye degeneration. Luetin and Zeaxanthin – They’re antioxidants that can lower the risk of degeneration of the eyes, which can cause vision loss and cataracts. Foods rich in Luetin & Zeaxanthin: Leafy greens such as kale, collards, spinach, avocados. Vitamin C – This vitamin also plays a role similar to above. Foods rich in Vitamin C: Strawberries, citrus berries such as oranges and lemons, bell pepper, broccoli, brussel sprouts. Omega 3 – Not having enough of it can lead to dry eye syndrome. Foods rich in Omega 3: Chia seeds, walnuts, salmon, tuna. Zinc – This actually helps metabolises Vitamin A, which means it helps with the absorption and transportation, which allows Vitamin A to be used. Foods rich in zinc: Wheat germ, beans, pumpkin seeds, cocoa powder.